Volcanoes & the Atmosphere (start time 6:17): We’ve known for a long time that volcanic particles and gases can travel around the world, often affecting climate. 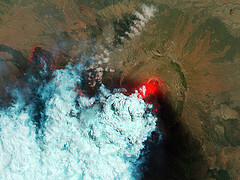 The 1815 eruption of the Indonesian volcano Tambora chilled New England and Europe, resulting in what came to be known as “the year without a summer.” More recently, the 1991 eruption of Pinatubo in the Philippines cooled temperatures throughout the Northern Hemisphere by up to 0.6 degrees Celsius. Those were both sizable eruptions. Co-host Beth Bartel talks with Bill Randel, division director of the Atmospheric Chemistry Division at the National Center for Atmospheric Research, about what a mid-sized eruption in the horn of Africa can tell us about atmospheric circulation. 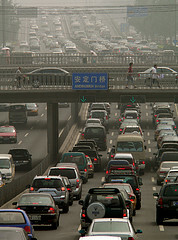 Traffic in Beijing (start time 15:13): A new study shows that China gets a gold medal for dramatically reducing carbon dioxide emissions during the 2008 Olympics in Beijing. Yes, that’s Beijing, one of the most polluted cities in the world. The new study shows that China severely restricted auto traffic in the city, leading to a major reduction in global greenhouse gas emissions. In fact, it could be enough to make a dent in curbing climate change if similar efforts were to be made in cities around the world, and on a sustained basis. Co-host Susan Moran discuss the new paper and its implications with Helen Worden of the National Center of Atmospheric Research. We feel it when we step into the heat outside; something weird is up with the climate. . Not only is it hot, we’re weathering a drought of historic proportions. That drought has set the stage for crop losses and for wildfires that are burning up the homes of people who live in the mountains here in Colorado. And the strangeness continues across the globe. We learn on the internet that ice at the poles is melting feverishly. And we’ve just lost another huge chunk. Last week scientists announced that in Greenland, a mass of glacial ice twice the size of Manhattan Island is slipping away. To help us make sense of the strangeness, we talk with Michael Lemonick, coauthor of the new book: Global Weirdness, Severe Storms, Deadly Heat Waves, Relentless Drought, Rising Seas, and the Weather of the Future. We next turn to new ideas about how humans can adapt to global weirdness, by undoing what we’ve always done. 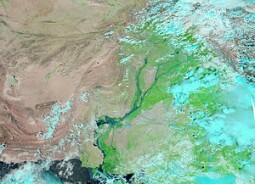 Marcus Moench, the Director of Boulder’s Institute for Social and Environmental Transition, joins us to talk about why de-engineering the floodplains in South Asia may be best. We talk with CU-Boulder’s Tom Johnson and NYT Bestselling author, James Rollins about Rollins’ new book, Bloodline. We also look at immortality, longevity, and aging, comparing the science and the sci fi. And we offer extended versions of the interviews with James Rollins and Tom Johnson. 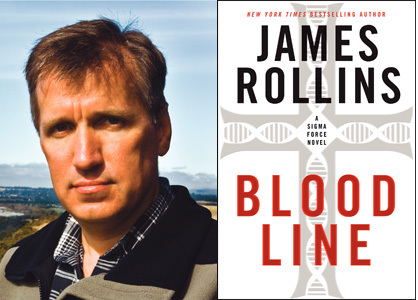 This is an extended version of the radio broadcast of the interview with James Rollins about his new book, Bloodline. In it, we look at the issues of science versus fiction, and technologies that might lead to life extension through robotics, artificial intelligence, and triple-stranded DNA . . . IF the good guys don’t defeat the bad guys who want to use these technologies for evil purposes. This is an extended version of the broadcast interview with CU-Boulder’s Tom Johnson. In this interview, Johnson talks about his pioneering work discovering the first “longevity gene” known as AGE-1. He explains the various functions of this remarkable gene and others like it, and he reviews the science . . . and the fiction . . . of sci fi books such as James Rollins new high-octane thriller, Bloodline. Geologic Carbon Sequestration (Start time 4:53): As carbon dioxide emissions continue to skyrocket, researchers are scrambling to find reliable ways to curb emissions of the most persistent greenhouse gas. 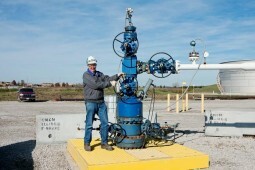 One of the experimental approaches is geologic carbon sequestration – trapping CO2 from power plants and other sources and pumping it thousands of feet underground in rock formations. The technology looks promising, but it also had drawn controversy. One of the more unusual research projects is in Decatur, Illinois, where CO2 used in the fermentation process for producing ethanol at Archer Daniel Midland’s corn-processing plant is being injected deep into the Illinois Basin. Co-host Susan Moran talks with Dr. Robert Finley, a geologist with the Illinois State Geological Survey and principal investigator of the Decatur project. Colorado Clean-tech Industry (Start time 16:14): It’s not news that we are in an economic downturn. 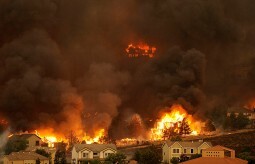 Nor is it news that the world is facing monumental environmental problems. How about a way to kill two birds with one stone? Co-host Tom McKinnon discusses how with Wayne Greenberg, director of the Fellows Institute, which is sponsored by the Colorado Cleantech Industry Association. 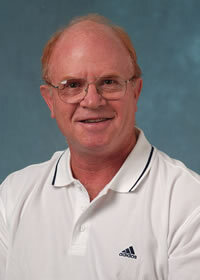 Greenberg was the former president of E Source in Boulder, and he was the associate dean of the Tulane Law School. With record high temperatures along with record low snowpack, the Colorado Front Range has been ravaged by increasingly expensive wildfires. For today’s show, How on Earth brings in two fire experts for a panel discussion. John Daily is a professor of mechanical engineering at the University of Colorado and the director of the Center for Combustion and Environmental Research. Michael Kodas is a journalist and principal at Narrative Light. He has been reporting on fire for over a decade and is currently working on a book on megafires. In this special summer pledge drive show, the How On Earth science team shares reasons why they volunteer to bring you science. And we share a conversation with Florence Williams, a local author and scientist who has an extensive history of breast and uterine cancer in her family. 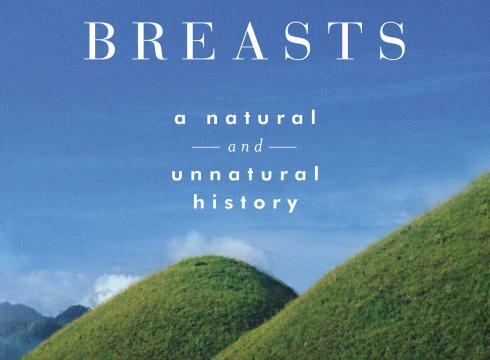 She decided to do research into the topics of breasts, and discovered all kinds of surprises – such as the poor track record of detection through mammograms, and the amount of research into whether breasts evolved as eye candy for men, or as ways to help babies survive. And why, if women eat nothing but organic food, do they still have lots of toxins in their breast tissue . . . and breast milk? Engineering Happiness (start time 05:09): You may think the key to happiness lies in money, or love, or more vacation days. But what it really comes down to is math — a mathematical formula, actually. 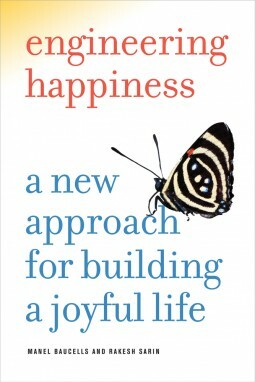 At least that’s according to a recently published book, called “Engineering Happiness: A New Approach for Building a Joyful Life.” It’s co-authored by two business and economics professors: Manel Baucells and Rakesh Sarin. How On Earth co-host Susan Moran interviews Dr. Sarin, a professor at UCLA. 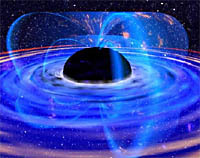 The Effects of Black Holes (start time 14:33): Active Galactic Nuclei, or AGNs for short, are vast black holes at the centers of galaxies. But as big as the AGNs are, galaxies are much, much bigger. Regardless, the AGNs do seem to hold some sway. CU-Boulder astronomer Jason Glenn is part of an international team that is beginning to sort out why, and talks with How On Earth’s Jim Pullen.